Need a little help with your pantry storage? 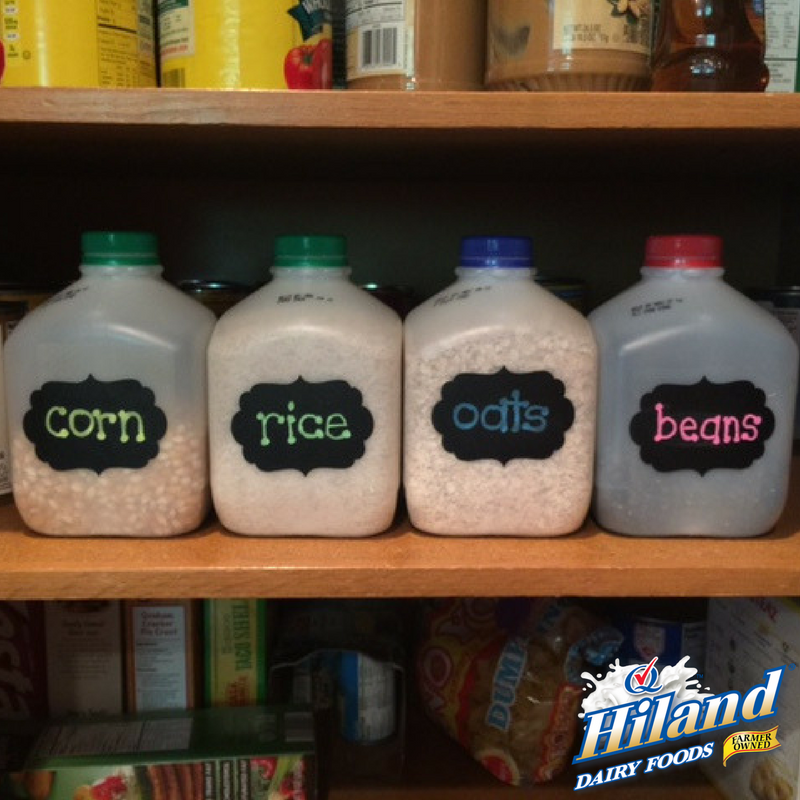 Here’s an easy solution: Repurpose Hiland Dairy Milk jugs by turning them into these super easy – and versatile – storage containers. Your pantry items will be protected and organized in no time! 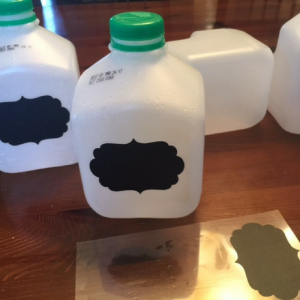 Rinse each jug and remove label with warm, soapy water. Allow to dry completely. Adhere a chalkboard label to the flat side of each jug opposite the handle. 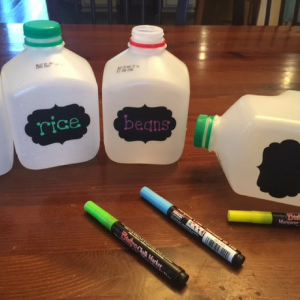 Using a chalkboard marker, write the type of dry pantry food that will be stored in each container. Let dry completely. Fill each jug with the corresponding dry pantry food and place neatly in your pantry. It’s easy to save up Hiland Dairy Milk jugs this month because it’s National Dairy Month. 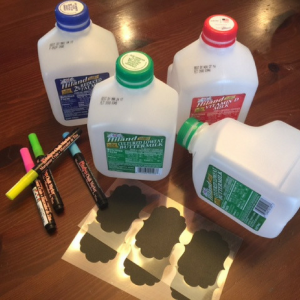 Be sure you and your family are drinking Hiland Dairy Milk every day!